Tammy has more than twelve years of experience fundraising, consulting and training nonprofit organizations in achieving sustainable funding. She recently completed a large-scale engagement transforming United Way for Southeastern Michigan’s corporate fundraising strategy; contracting for 2.5 years as Senior Director of Corporate Relations where her development team raised more than $90M in contributions. Tammy’s efforts have resulted in more than $400M in contributions to a variety of organizations in the past decade. As Founder of Fundraising Transformed, she is a national speaker and frequent contributing writer on the topic of transformational philanthropy. In 2012 she was named one of the Top 30 Fundraising Consultants by national philanthropy radio personality Michael Chatman. 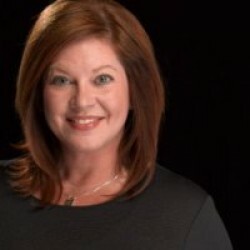 She has served as adjunct faculty at Indiana University, technical editor for Wiley Publishing’s “Fundraising for Dummies” third edition and served on Nonprofit Quarterly’s editorial advisory board. She is active in the Greater Detroit Association of Fundraising Professionals (AFP) Chapter and Co-Chair of Professional Advancement Day 2012. Tammy was also a founding board member of AFP Northeast Indiana Chapter.